As it hath beene sundry times Acted, by the Kings Maiesties Seruants. AT LONDON Printed by G. ELD, and are to be sold at his house in Fleete-lane at the signe of the Printers-Presse. 1607. 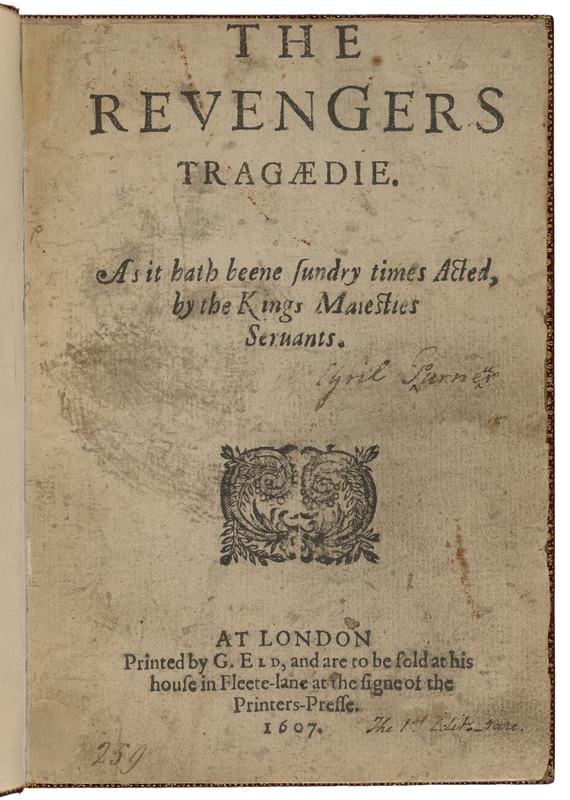 Title page imaged from Folger call number: STC 24149. Image is from the transcribed copy.